Handmade brass models of construction machinery in different scales. 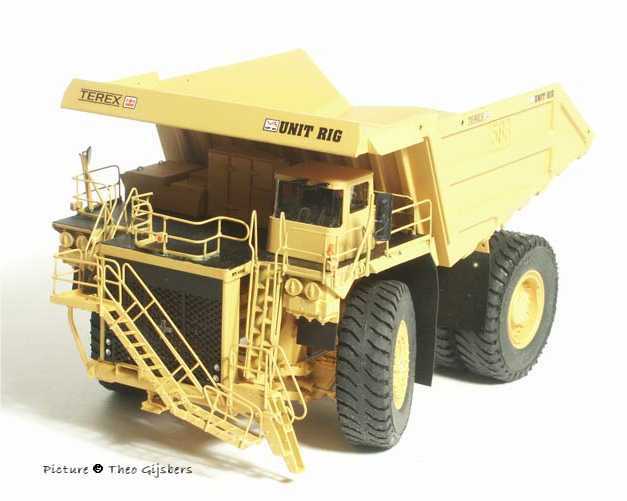 Among the 1/87th scale models are a Terex/Unit Rig dump truck and the largest hydraulic excavator of the world, which appeared in several versions. All models were limited runs. 872 Terex/Unit Rig MT 4400 dump truck w coal body (yellow) ? 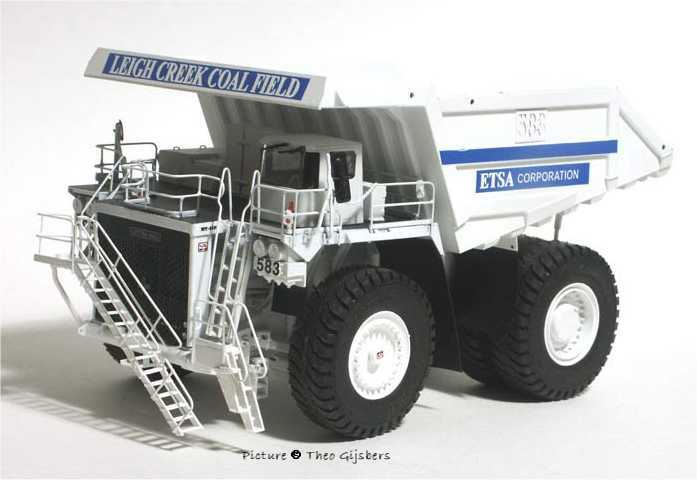 872.1 Terex/Unit Rig MT 4400 dump truck (white/gray) ? 873.6M Terex 33-11C dump truck ("Miller Mining") ? 877.? Terex TA 2 articulated dump truck (Terex green) ? 877.? Terex TA 2 articulated dump truck (white w red stripe) ?